We specialize in Employee Benefit Administration and are uniquely qualified to offer you and your group customized services. 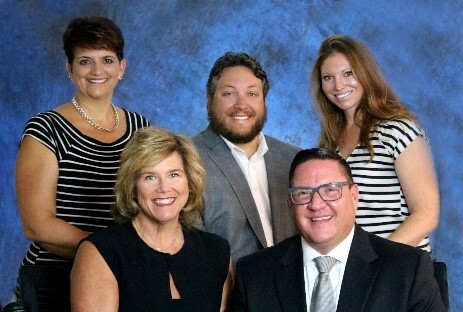 Welcome to Rehn & Associates! Our business was created in 1961 with a single focus on service to multi-employer groups. Today, with the same commitment to service, we have grown to include individual employer benefit packages, with a wide variety of options. Part of our strength lies in our unique ability to customize our services to the specific needs of each and every client. Our values are in our name: Respect, Excellence, Honesty, Nurture. You can select any TPA to provide the necessary processes, but Rehn & Associates is set apart by the genuine care we have for our clients and their participants. We want you to be happy and satisfied, and our superior service, the capability to contact multiple people within our organization (including me! ), and the ability to customize our system combine to enforce that goal. During the implementation, “bumps” should be expected; after all, we are just getting to know each other. However, what we do during this process is keep an open line of communication so we can better address the small idiosyncrasies which inevitably occur. By listening, we focus on implementing improvements to the system which ultimately result in better delivering service to all parties. Once completed, you will then experience the ongoing level of attention and support needed for a long, mutually satisfactory relationship. At Rehn & Associates we are excited about the future and embrace it through advances in technology, software and additional services. We are proud of the fact that we have created true, long lasting partnerships with our Clients, Consultants, Members and Vendors. It is a key ingredient of what makes us successful in what we do. The confidence about our future is further supported by the quality of our people. The colleagues who drive Rehn & Associates are passionate in maintaining the human connection we offer. By creating a positive work environment which promotes professional growth, we are grateful to have on our staff, talented people who are dedicated to delivering an excellent service experience. In turn, our customers always know that ready, willing and able Rehn & Associates staff members are just a phone call away. I enjoy being able to help our members, great place to work. My Rehn experience is twofold…I have awesome benefits and I get to meet our members when they visit our office!! We have nothing to sell but service. Rehn’s emphasis to customer care is second to none! This isn’t a job, it’s my second family! I find joy in my work at Rehn because I follow this verse, “whatsoever thy hand findeth to do, do it with all thy might” Ecclesiates 9:10 and feel I am helpful and get to contribute because of it. Teamwork is really promoted here because working together is success for me personally and the company. Not only is Rehn a great place to work, but I am proud to work with very passionate coworkers who really personify Rehn’s mission! I Found My “ Forever “ Employer. I enjoy helping people and our company is all about service! At Rehn we work in a culture of family - we care for, help and support our customers, as well as each other, as we would members of an extended family. The core values that drive our work – respect, excellence, honesty and nurture – express the best of that culture. I love being part of a team. Teamwork gets the work done. I love my job. I work with great people who aren’t afraid to be great. Our teams are amazing! There are no others like ours and you won’t find people who care more about what they do! I like getting out to meet our awesome clients face to face to ensure they are taken care of, along with their employees. We treat you like family, because we are a family. When a member calls with a question or problem, it’s really satisfying when I’m able to explain the situation, solve the problem, get the claim re-processed, do what’s needed to get it resolved! I appreciate the support and encouragement I receive when searching for flexible solutions for our staff, clients and plan participants. My commitment and goal is to take care of Plan Advisors, Sponsors and Participants with understanding and interest. I like helping our clients, members, and coworkers when possible. Working for Rehn and Associates is like working with family. Show up for benefits and excellent customer service, stay for the golf tournament and chili cookoff. If I had to call with questions about my own plan, these are the kind of people I would want to help me! The only way to do great work is to love what you do and here at Rehn we really do love what we do! EVERY DAY I GET TO DO SOMETHING I LOVE AND MAKE AN IMPACT ON PEOPLE’S LIVES! We are what we repeatedly do. 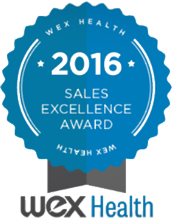 Excellence then, is not an act, but a habit here at Rehn.